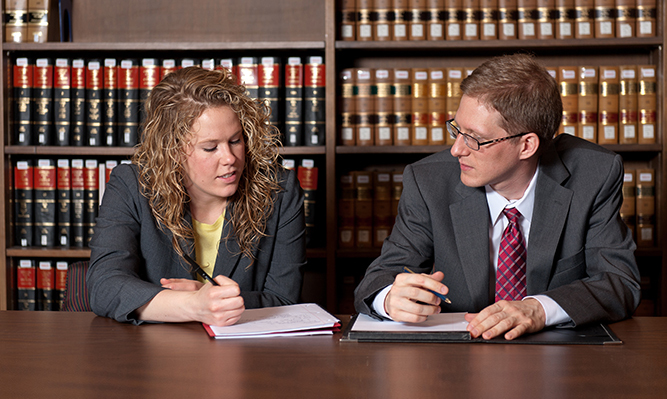 To better prepare students for a business law practice, the School of Law created the Business Law and Ethics Program in 2009, providing students greatly expanded opportunities to study business law as well as business concepts and ethical issues confronting today’s business leaders. The program includes practice-based courses, which are designed to link legal theory to the practice of law, with a particular focus on transactional practice. Experiential learning, through participation in externships and clinical experiences and on the school’s negotiation competition team, is a key element of the program. Students have the opportunity, both in and out of the classroom, to practice essential skills such as negotiation, legal drafting, critical thinking, counseling, and creative problem-solving. It is a point of pride and an indicator of the program’s success that Georgia Law’s negotiation team has captured national titles and earned other significant recognition. Georgia Law’s negotiation competition team, which boasts national championships, allows select second- and third-year students to vie against teams from other respected law schools across the country to hone their negotiation, critical thinking and problem-solving skills. Try-outs for second-year students are typically held in the fall. History of competitions and wins. In addition, students benefit from Georgia Law's generous offering of business law electives. Business clients confront ethical challenges, even in situations that are legally compliant. 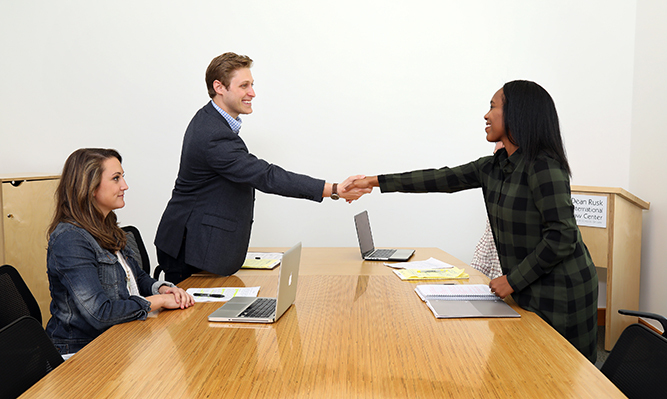 A distinguishing feature of Georgia Law’s Business Law and Ethics Program is a strong emphasis on business ethics, particularly with respect to the lawyer’s role in advising business clients. Courses with a special focus on business ethics include: Business Ethics Seminar, Corporate Responsibility, and Sustainable Business Practices. Externships and clinical experiences provide essential hands-on learning opportunities. The Corporate Counsel Externship Program allows law students to explore the practice of law from the perspective of an in-house counsel while developing key transactional skills. With more than 20 student placements in legal departments in both for-profit and non-profit organizations, Georgia Law students have worked at entities such as: Aaron’s, Acuity Brands, American Cancer Society, BlueLinx, Chick-fil-A, Coca-Cola, Cotiviti, Cox Communications, Delta, Grady Health System, Gwinnett Medical Center, Home Depot, Imerys, InterContinental Hotels Group, NCR, Panasonic, RaceTrac, Rollins, St. Mary's Hospital, UPtv, and Verizon Telematics, among others. Additionally, the Business Law Clinic presents law students with the opportunity to represent small business owners in corporate matters relating to such matters as formation, corporate governance and contracts. Students learn how to interview, counsel, draft and negotiate as well as develop problem-solving, analytical and editorial skills in the context of client projects and reality-grounded class work. In addition to working 8-10 hours per week on supervised client projects, law students attend a two-hour weekly seminar that covers topics relevant to the representation of entrepreneurs, small businesses and nonprofit organizations. The Business Law Society brings together law students interested in corporate and business law for educational and professional development, including participation in events involving corporate and business law firms and organizations. It's a Moot Court for Transactional Attorneys, The National Law Journal, April 2010. "I hoped the Negotiation Team would be a place to learn, practice and sharpen the skills I would need going forward in a career as a transactional lawyer. The experience turned out to be that and more. I now feel comfortable that I can sit down across the table from anyone and represent my client's interests in an effective and efficient manner."